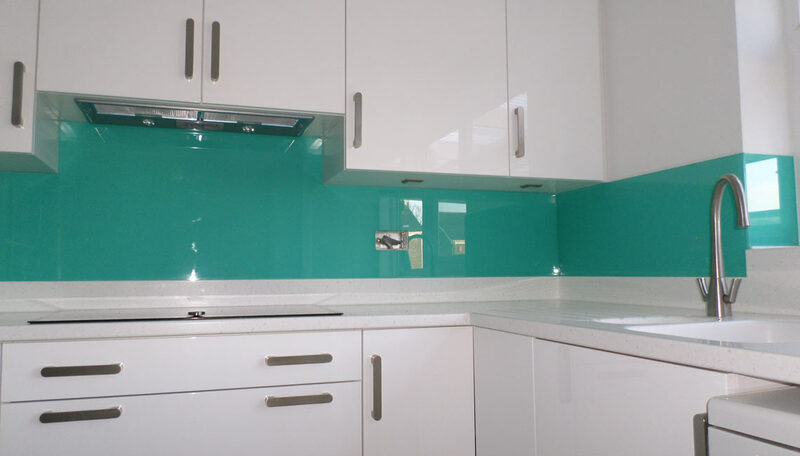 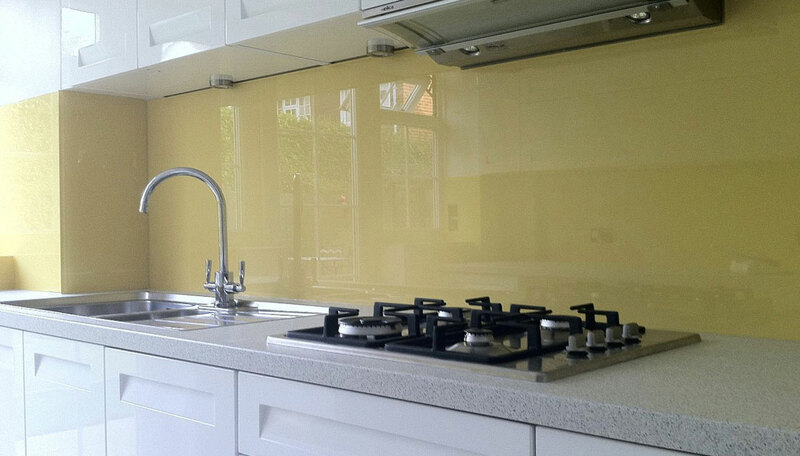 Glass splashbacks can be supplied in almost any colour to enhance your home, choose from one of our 44 standard colours to make your choice easier, we can also supply splashbacks in BS, Pantone, RAL or any other popular paint colour. 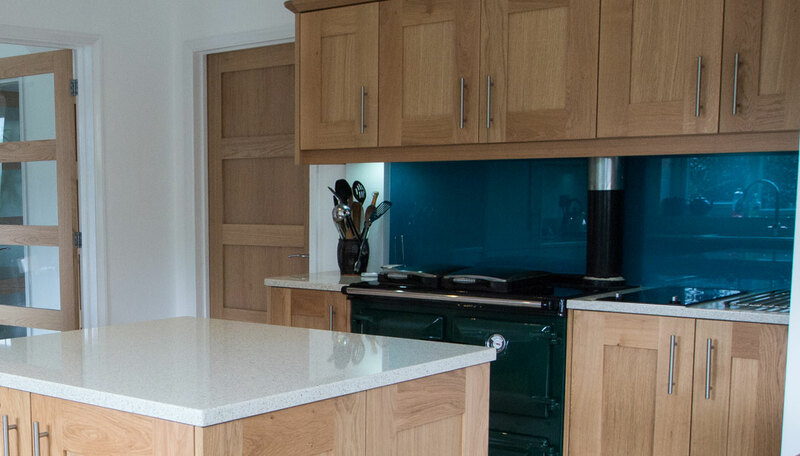 We mix all our own paint in-house, so getting the perfect colour for your home is made easy. 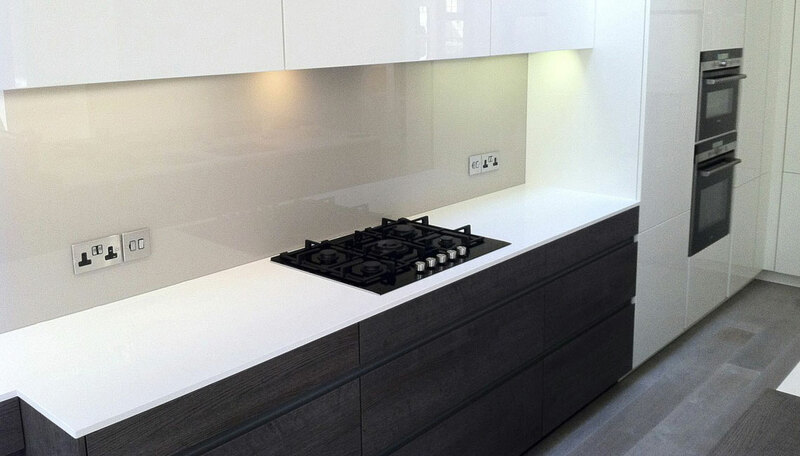 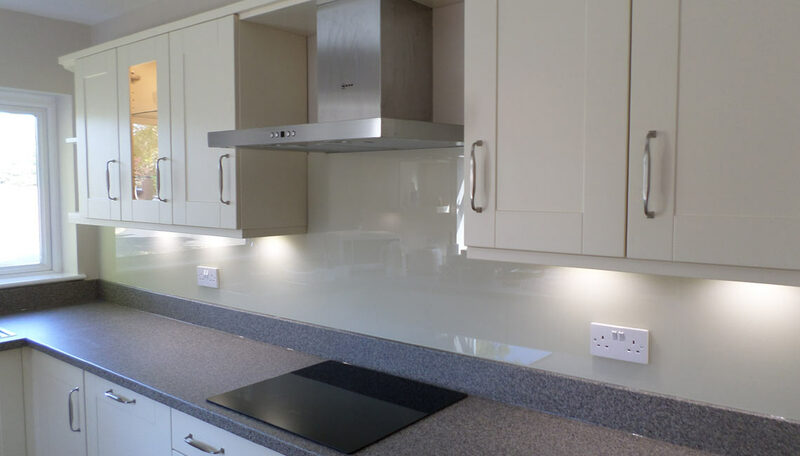 All our splashbacks are toughened to withstand a heat source and are made to measure - they can incorporate socket cut outs, holes or notches. 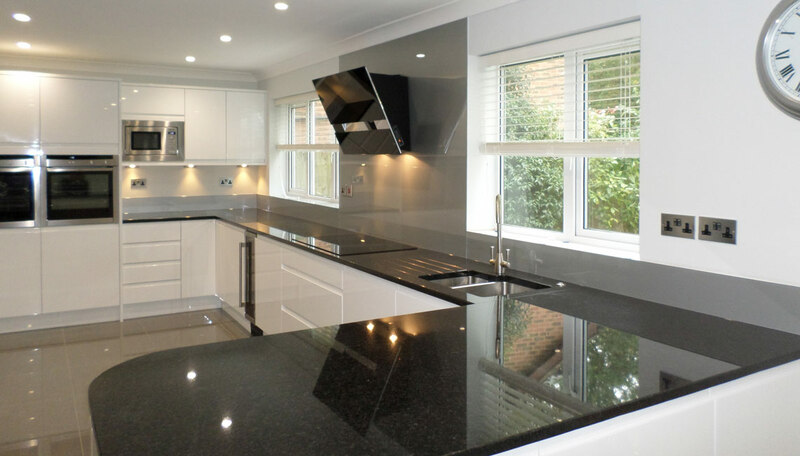 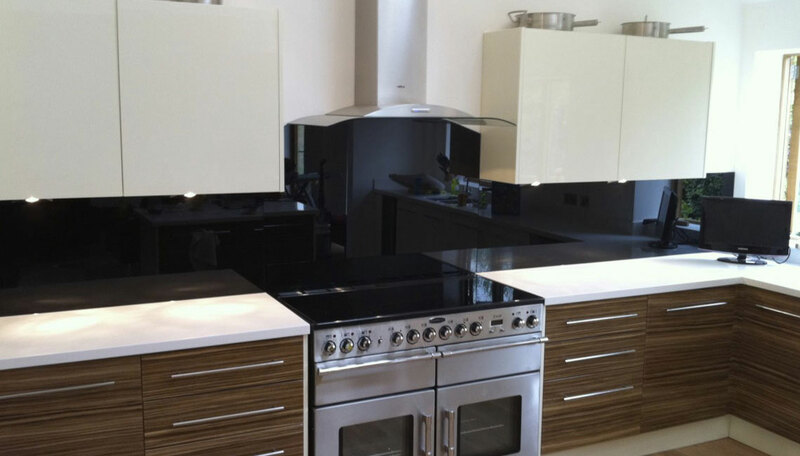 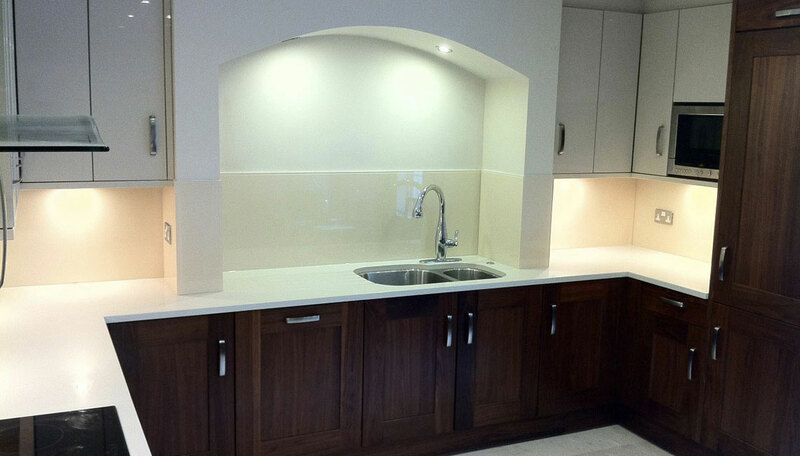 Splashbacks from Southern Counties are the perfect solution. 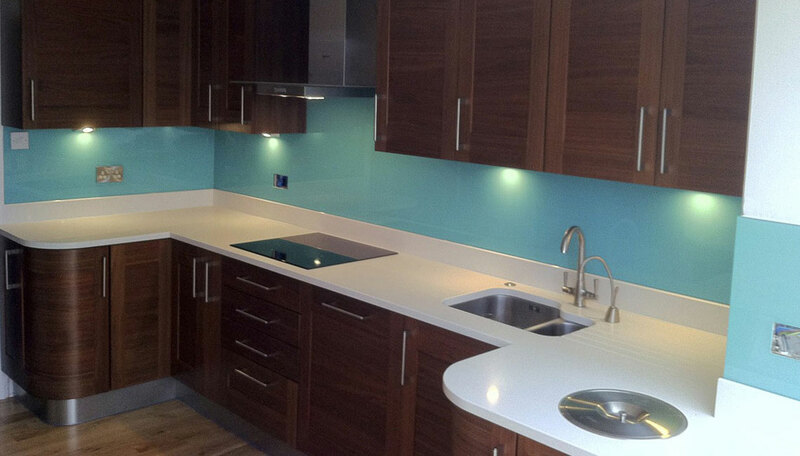 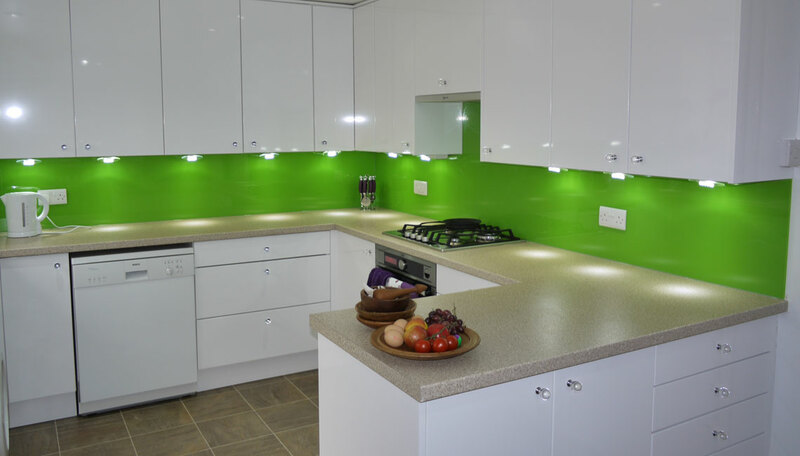 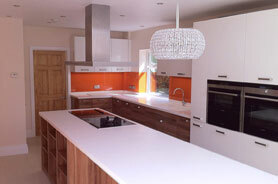 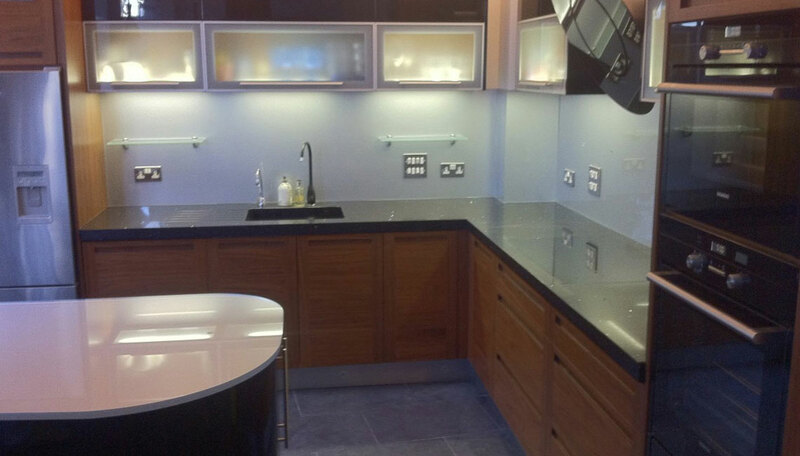 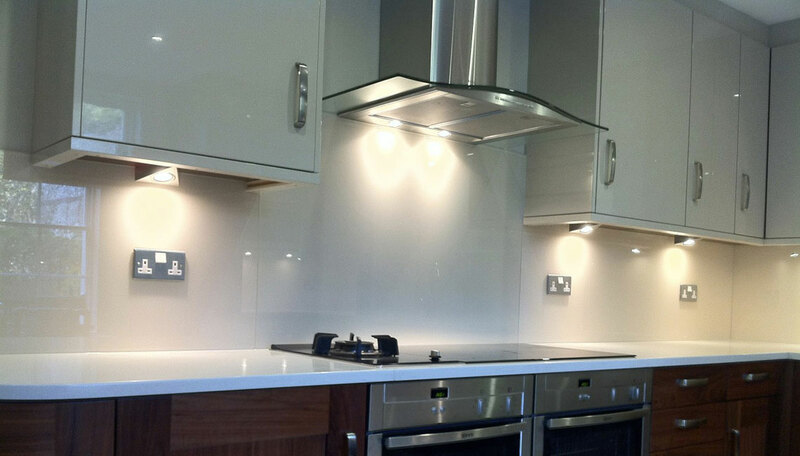 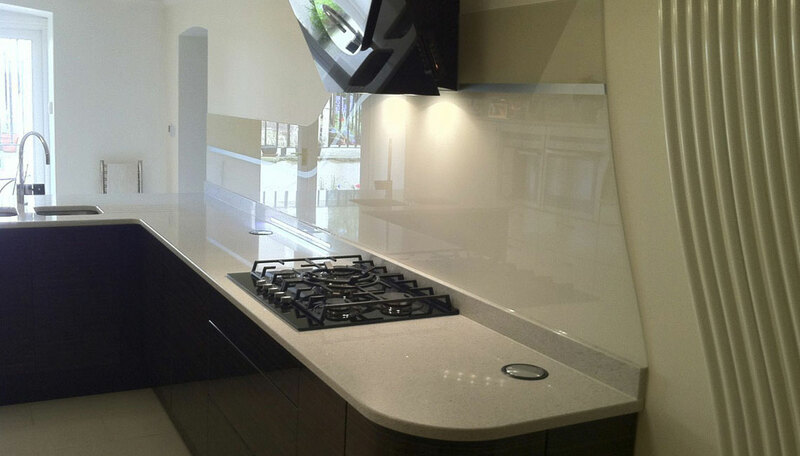 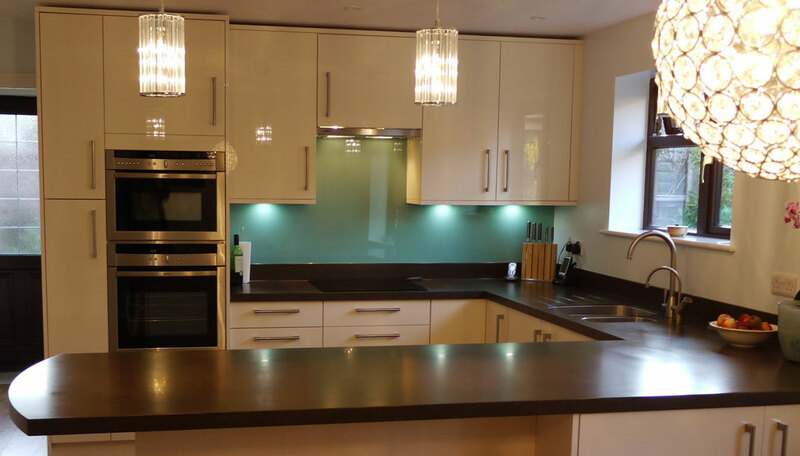 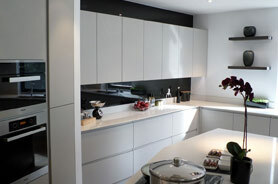 Glass splashbacks can be used anywhere in the home not just kitchens. 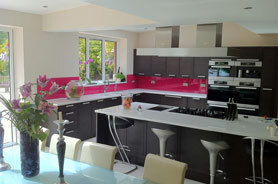 Use to add colour to your bathroom, shelving, give table tops some colour, or clad walls in any room. 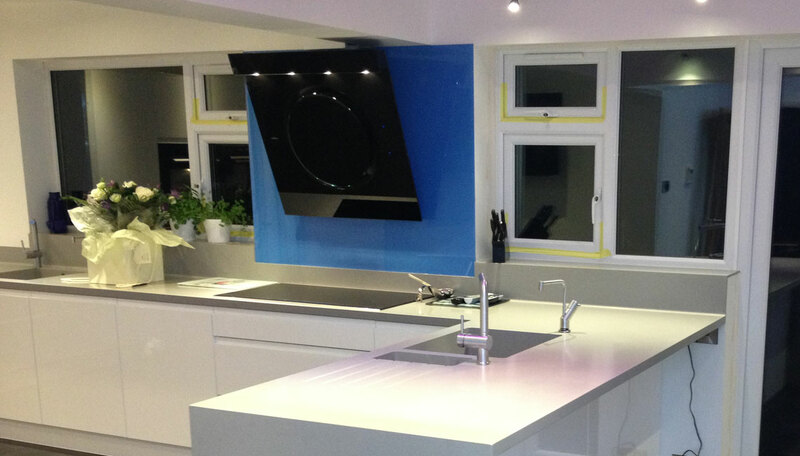 Spraying is done in-house, and any colour can be achieved, along with many different effects. 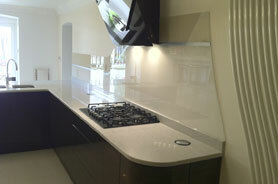 A full template and install service is available, or a supply only if preferred. 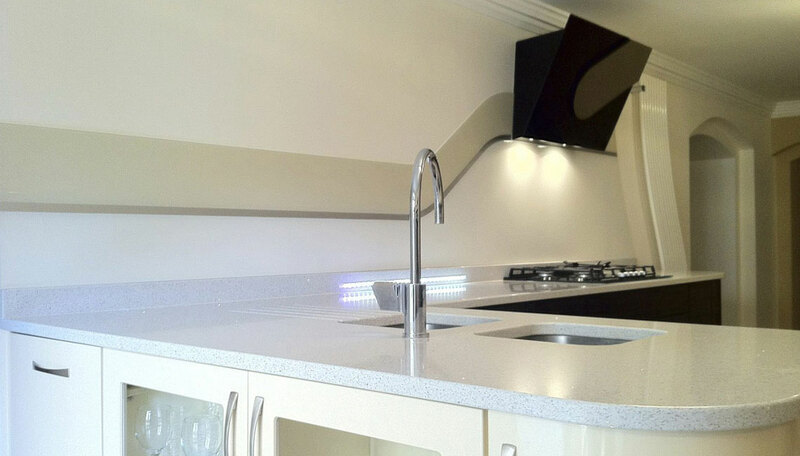 CNC cutting for sockets, and shapes makes the boundaries unlimited.